Submitted by sandip on Thu, 02/21/2008 - 22:16. Register to begin blogging and keep a regularly updated journal. Each member of the site may create and maintain a blog. You can also post links to article whose main purpose is to create links to other resources -- websites, pages, documents, etc.!! A lot more features will be introduced. Please don't hesitate to post suggestions in the form of comments below. On September 29, 2008 Nepal issued a new banknote of 100 Rupees denomination with usual color and size with prefix number E/4 000001 to E/56 999999. On front left it has the picture of Mount Everest from south face, on right it has the watermark of Nepal’s national flower Rhododendron. It has the signature of acting Governor Mr.K.B.Manandhar. On September 26, 2008 Nepal issued a new banknote of 10 Rupees denomination with usual color and size with prefix number Cha/42 000001 to Cha/96 999999. On front left it has the picture of Mount Everest from south face, on right it has the watermark of Nepal’s national flower Rhododendron. It has the signature of acting Governor Mr.K.B.Manandhar. On September 23, 2008 Nepal issued a new banknote of 50 Rupees denomination with usual color and size with prefix number Ga/18 000001 to Ga/68 999999. On front left it has the picture of Mount Everest from south face, on right it has the watermark of Nepal’s national flower Rhododendron. It has the signature of acting Governor Mr.K.B.Manandhar. There are many reasons why one collects coins. There are collectors who collect on the basis of the coins' future perceived value, some collect coins coming from just one particular period, some on metal type and some for a coins historical value. Decide on what coins to collect and buy a "bookshelf folder" for that series. Collecting just for profit may work but it usually is not enough in the long run. A person really has to think about this since many people who have tried it for that reason have lost focus and failed. Successful coin collectors take a lot of time to learn everything there is to know about numismatics. Good sources of information are magazines, newsletters and brokers who can pass on information and news, when it happens. By using the resources a person can act fast before other collectors who want the same thing get the information first. If a person tries to collect without knowing the basics, he will never succeed in this hobby. Knowing how to grade coins can also help the collector know the true value of the collection. This knowledge will be valuable if the owner decides to trade for something of greater value or it can prevent scamming and wasting money for something of little value. Be vigilant! One of the virtues that coin collecting can teach a person is patience since the collection may take years to complete. Some of the well-renowned collectors in the world have spent many years before reaping the benefits. Coin collecting is said to be the "Hobby of the Kings". Coin collecting is different from money hoarding. Collecting coins as an art form can be traced back to the 14th century. 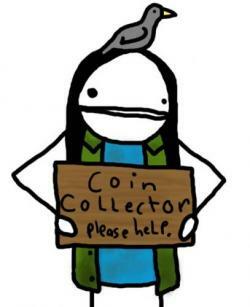 Today, people all over the world are collecting coins. Some collect it for their value, some just like the sheer fun that they get from getting their hands on different coins. If one is interested in making coin collecting a hobby, he can very well do so. It is a hobby which does not require a certain skill and it can be done by almost everyone. 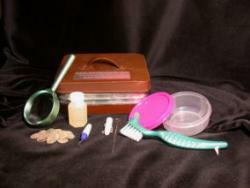 There are many different kinds of coin collectors. There are those who do it for fun, and others do in a more serious manner. 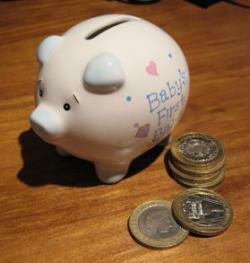 Most coin collectors, especially the children, start out as informal coin collectors. 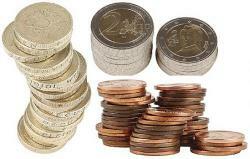 They are laid-back collectors which do not have a specific goal in collecting coins. They might collect coins from different countries or from different time periods without any intention of being serious about it. Old coins that is. Try looking under that old dresser, or up the attic where grandma or grandpa's things may be stashed away patiently waiting for you to discover them. Who knows, you might find a coin there, an old coin that at today's rate - may be worth a few dollars; probably three or four or five, even ten times what the coin was worth back then. Fortunately or unfortunately, there was a shortage of copper during the year 1943 and all pennies made at that time were minted using steel. There were however, some Lincoln pennies that were incorrectly minted on bronze that turned out to be blanks. A few years or decades later -these bronze pennies became a rarity and are valuable. The steel ones though, because of their commonality, are worth only between one to three dollars each.